A good friend of mine is getting married this month, and her bridal shower (which I couldn't attend due to previously registering for CKC Manchester) was this past weekend. I wanted to make her a card to celebrate the shower anyway. 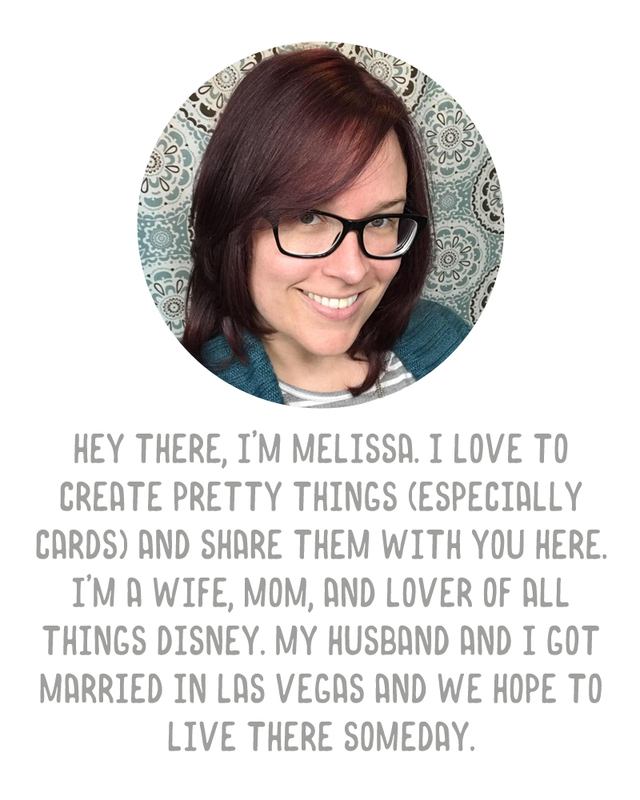 I wanted it to be special but a little more fun than your everyday wedding card, and I think this one came out just right. I made a cake by cutting three strips of white card stock, and running them through my Big Shot with a flourish embossing folder. I saw this on Pinterest ages ago and I have forgotten the source, but I love the idea. 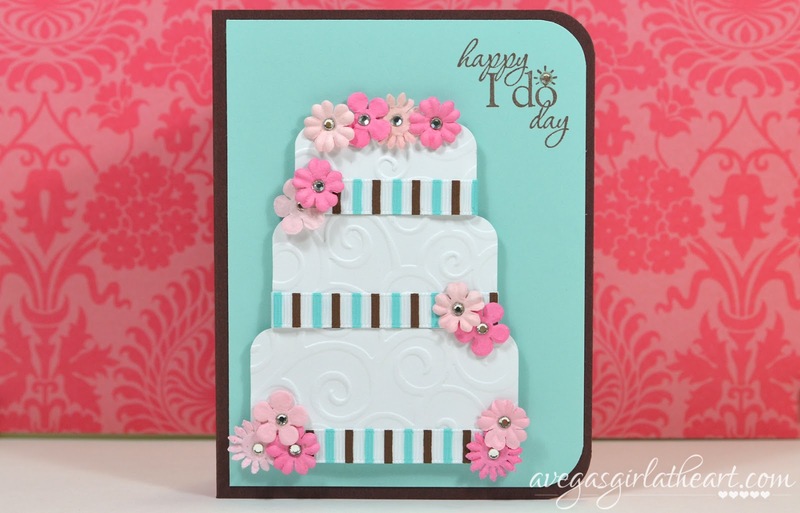 Next I added ribbon to the cake layers, and attached it to my card with foam dots. Then I added paper flowers scattered around like a wedding cake would have (attached with glue dots). Finally, to finish the cake, I added rhinestones to the center of the flowers (using Glossy Accents as my adhesive). 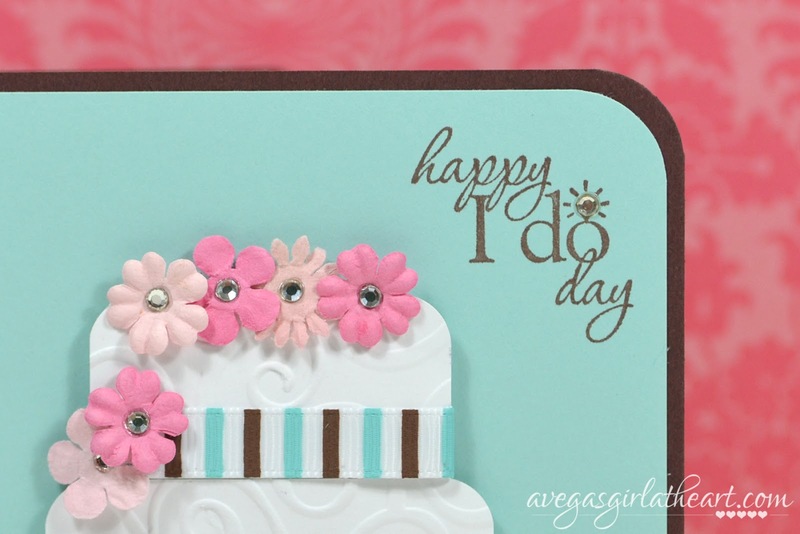 I stamped "happy I do day" from the Stampin' Up! Word Play stamp set, using Memento Rich Cocoa for the ink, which matched the card base (SU Chocolate Chip) perfectly. 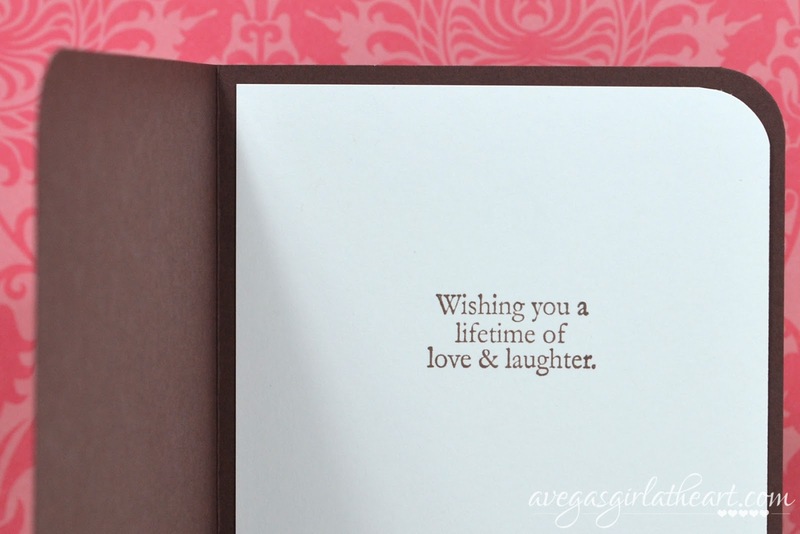 Inside the card, I stamped a simple sentiment (later adding my own note).